Beachfront Boudoir is a boutique photography studio that seeks to empower and enrich the lives of everyday women. Our mission is to break down stereotypes and show every woman, regardless of age, body type or life circumstance, that she is gorgeous, powerful, vibrant and deserving of an experience that will give her the confidence she deserves – while also giving her a much-needed break from the stresses of everyday life. 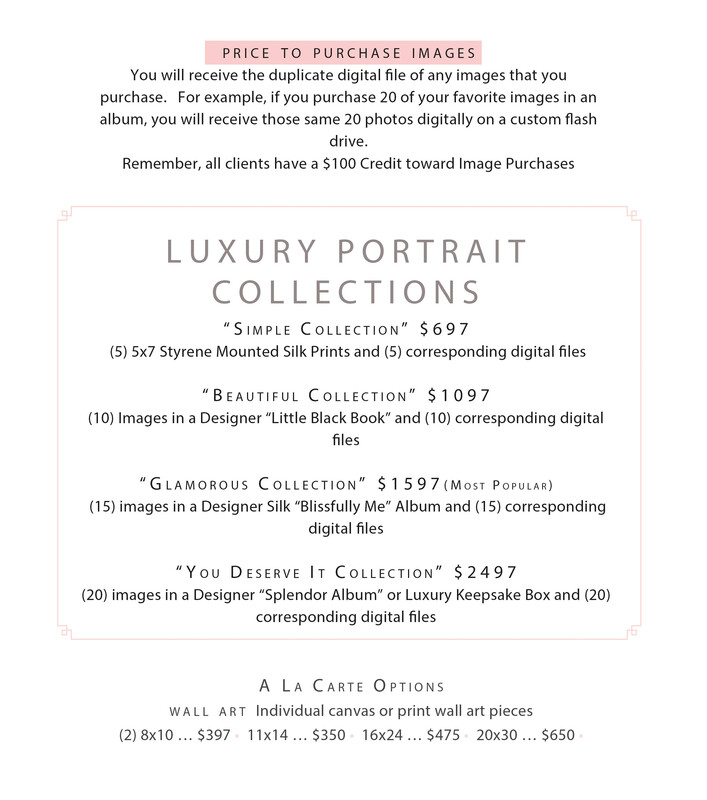 Why should you give yourself the gift of a Luxury Boudoir Session? This is your chance to see yourself in a different light, to appreciate your gorgeous and unique shape and individual style, and to fall in love with yourself as an empowered and confident woman. As women, we are always competing with "ideals" when we should be appreciating how amazing we are JUST as we are. Let me give you a break from "everyday life", and SHOW you through your images how gorgeous that you truly are, no matter your age, body type or life circumstance. This is the confidence boost that will allow you to walk a little taller through your life knowing you are enough just the way that you are! This is Your Time...You Deserve It! Includes: Professional Hair and Makeup application, personal coaching on wardrobe (both before and during your session) and posing, a 60 minute photography session where my number one goal is to make you look and feel like the goddess that you are, same day viewing and ordering of your images, and a $100 credit toward the purchase of any Collection. Beverages and snacks are provided. The studio is a safe and comfortable space where you can truly let your hair down and allow the unique YOU to shine! Beachfront Boudoir is a comfortable, safe and inviting space where women can walk through the door and feel as though they can truly be themselves. All that we ask of our clients is to show up to the studio on time with their wardrobe and an open mind, we'll take care of the rest, including camera ready hair and makeup and personalized coaching. We care about our clients and we in the weeks leading up to a session, we send out several helpful emails that will go over EVERYTHING you need to know about wardrobe, what you should and shouldn't do before a session, and how to prepare. Be ready to laugh, smile, feel BEAUTIFUL and, above all, have FUN!